Imagine and Celebrate: two words that elevated a closing conversation in a workshop from meaningful to powerful. I recently facilitated a workshop with the staff of a non-profit organization to help them develop teamwork strategies. I had anticipated that, at the end of the final discussion about their strategies, they would feel excited, celebratory, and be ready to act. The session went extremely well. I used the techniques of Technology of Participation Consensus Workshop method and the VisualsSpeak images. Participants said they were very happy about their work together to create the strategies — and the strategies. Yet, they said they were feeling slightly overwhelmed by the amount of work needed to accomplish the strategies. I wanted to offer them a way to close the day with an expression of pride about what they had achieved and hope for their future work. I looked down at the table where I had placed objects for participants to play with during the session. Some were small stones with words written on them. I picked up two stones; one said Imagine and one said Celebrate. I held them up, read the words, and invited participants to close the session by saying what they imagined their team could be if they carried out their strategies and achieved their goals, and what they celebrated about their strategies. Participants thoughtfully, realistically, and optimistically spoke from their hearts about what they could imagine and celebrate. They addressed their apprehensions in positive, strong and visionary ways. A closing conversation, using the right method and tools, is a powerful way for people in a group to summarize what they have created during the session and to look ahead to next steps. 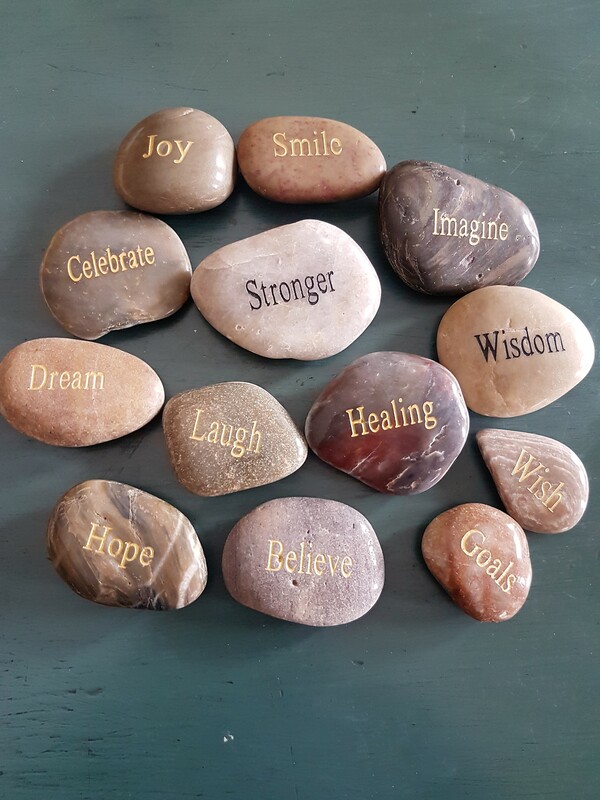 Being able to change from my original plan for the closing conversation and spontaneously use the stones and words was what was needed in the moment to support participants to feel energized and empowered.